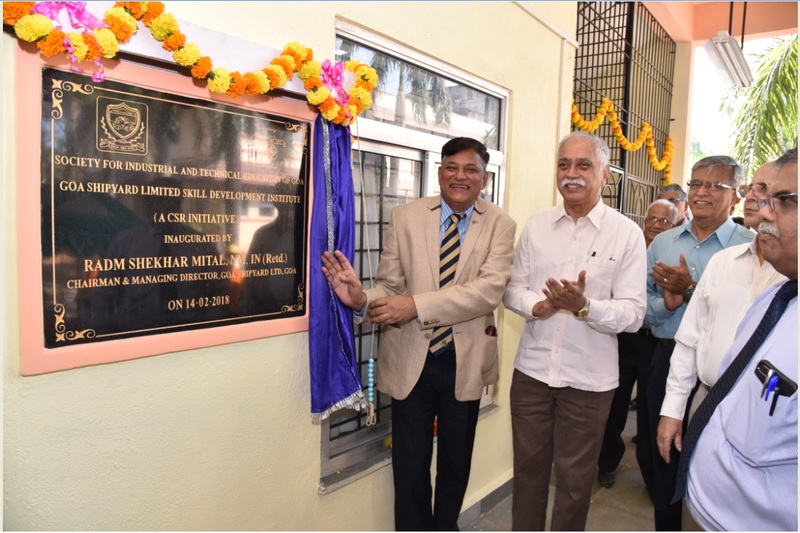 As part of the CSR activities of Goa Shipyard Limited, a State of the Art Welding Centre of Excellence (COE) funded by GSL at a total outlay of Rs 81 Lakhs was inaugurated by RAdm Shekhar Mital, CMD, GSL on 14 Feb 18 at a simple ceremony organized at SITEG, Bogda campus. The inaugural ceremony was attended by various functionaries of SITEG & GSL. 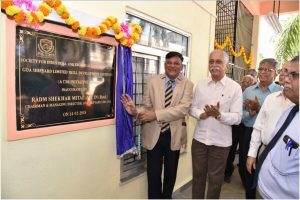 The need for construction of this COE was felt during the implementation of GSL’s Skill Development Initiative aimed at skilling the youth especially school dropouts in Goa in the specialized field of 3G Welding. 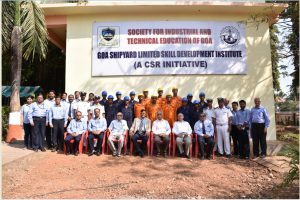 This Skill Development Project launched by GSL, in collaboration with SITEG, is the first of its kind project in the region which had envisaged the need and necessity for skilling the youth especially school dropouts in Goa through a specialized training course in 3-G welding with IRS certification. Though the cost of training is Rs. 50000/- per trainee, it has been subsidised by GSL by Rs 45000/- per trainee under its CSR scheme. Till date, more than 100 students have been trained in 3-G welding under this project. Post training, these welders get immediate absorption in industry as Certified Welders are in high demand in shipbuilding, ship repair, off shore oil and gas, boilers and pressure vessels industry in India and abroad. SITEG has also installed a welding Simulator, which has improved the quality of training and resulted in faster learning process. In addition to the above, GSL has adopted Vasco Government ITI with a vision to radically restructure it into a State of the Art ITI by providing support in terms of equipment, books as well as in terms of training the students in Multi Skill development, Entrepreneurship Safety programs, On-the-job training, etc. More than 300 students have been beneficiary to these developmental activities. GSL also trained more than 85 ITI Trainers through its “Train-the-Trainer” initiative.